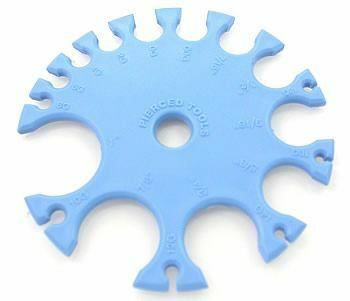 Plastic Wheel Gauge - Perfect for Measuring Body Jewelry Measures from 18g up to 1" These are not recommended for Shop use. You can't Autoclave these. These are ideal for the end user. A cheaper alternative to the steel wheel gauge. The original and still the best.